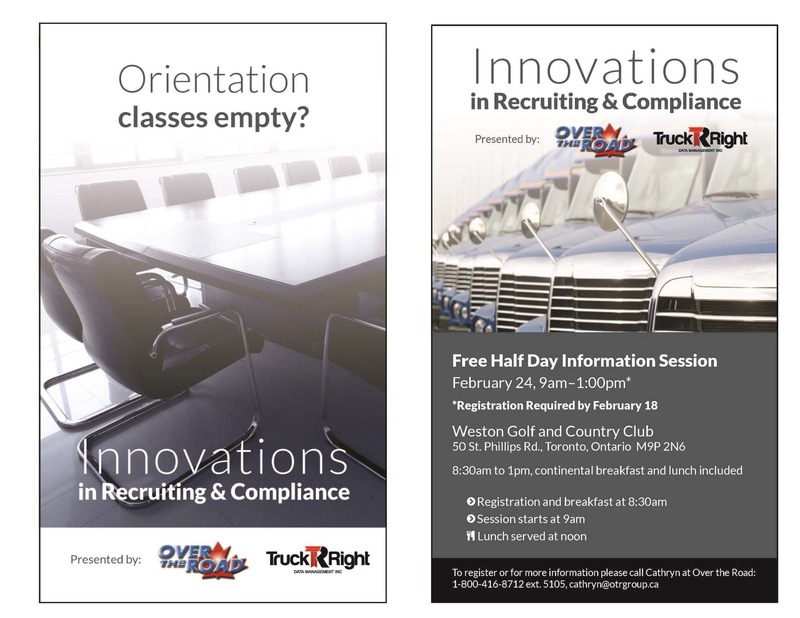 Over the Road and TruckRight are presenting a free half-day information session on innovations in recruiting and compliance for the transportation industry. Winter driving and black ice. We all too often see tractor trailers in the ditch or worse, involved in a collision. And sometimes a contributing factor is black ice. All too often the tractor trailer operator failed to recognize the conditions for black ice to form. Through your demonstrations and beta testing we have received some amazing feedback, Thank You. Your suggestions and ideas were taken back to our development team, giving us the opportunity to enhance, fix and add 218 features. These have gone through development, testing and have been implemented into the software. The design phase is almost complete; I must say Driver Locker is looking amazing. Launching this winter, this will quickly become the site of choice for Owner/Operator and Company Drivers. Just to remind you of some of the features; a compliant area for the driver to fill out their application and share it with the fleet of their choice ("never have to fill out an application again"), O/O business management tools, virtual wallet and password generator. The feedback for D.A.D (Drivers Authenticated Data) has been fantastic, we are being told that we are helping cut down recruitment time. Our secure background checks are also being noticed by the former employers, where we are doing your references. We have received many inquiries on the service; D.A.D is now building its own customer base, becoming the fastest part of our growth. Building quality training is a tricky business.